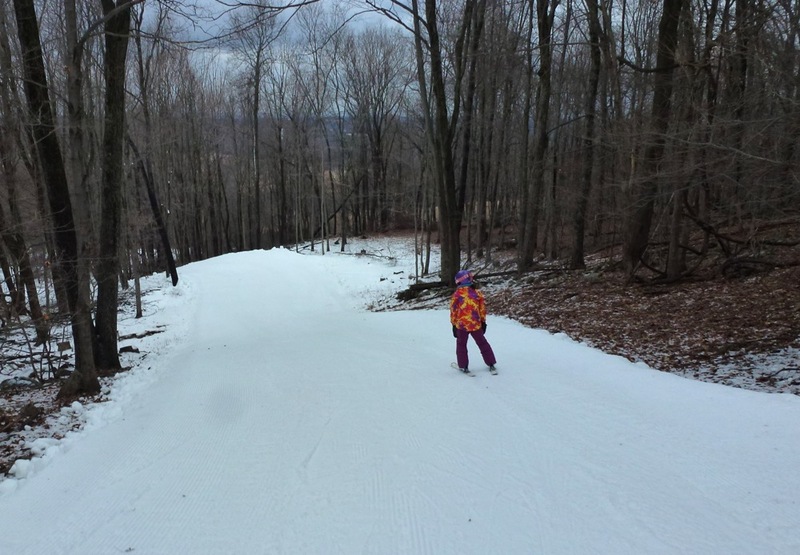 On Monday I ventured 45 minutes to Mt Peter in Warwick, NY, with my 3rd grader. After Sunday’s ice storm turned into a gully washer, I was a little unsure of what the trails would look like when we got to the mountain. We were pleasantly surprised to see that pretty much the entire mountain was open on deep manmade snow. We booted up in the beautiful Sunrise Lodge. It is a fully windowed post and beam building that sits almost on the trails. 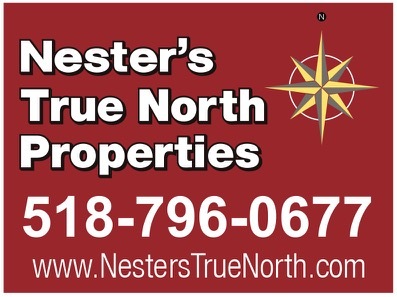 A great spot for familiies, it is heated and has AC for summer events. About 20 feet away is a snack bar offering a nice variety of food and drinks including hamburgers and hot dogs. There is also a full service cafeteria, a bar and a creperie. 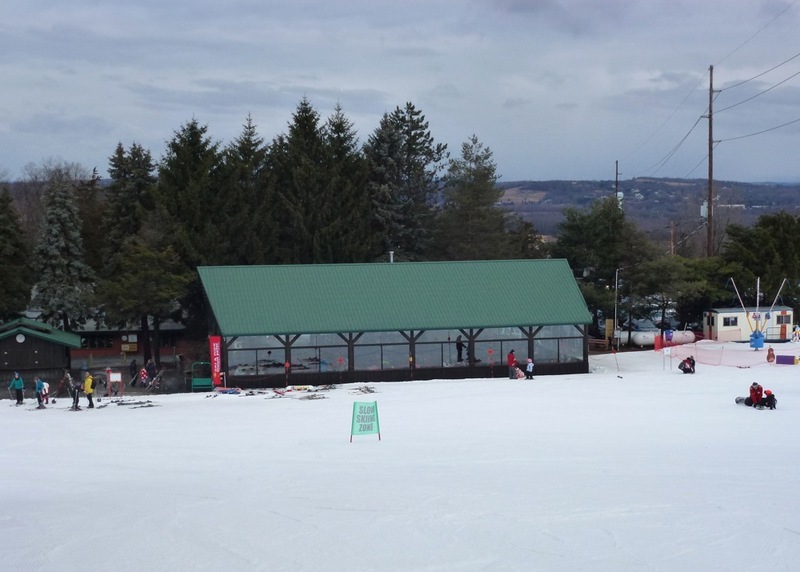 Mount Peter has 3 double chairlifts, a magic carpet, and handle tow. Hailey’s Comet and Ol’ Pete cover the full vertical and Sam’s Chair serves the green and blue trails. All three chairs were running and handled the full parking lot with ease. We never waited more than 5 minutes in line for a chair. The conditions were smooth, groomed cord. We found ourselves drawn to the three black diamond trails on the lookers right side of the mountain. There are a few steep drops that kept the day exciting. There was not much traffic on these trails and conditions held up nicely all day. Mt Peter has a robust racing program and these trails can challenge racers. 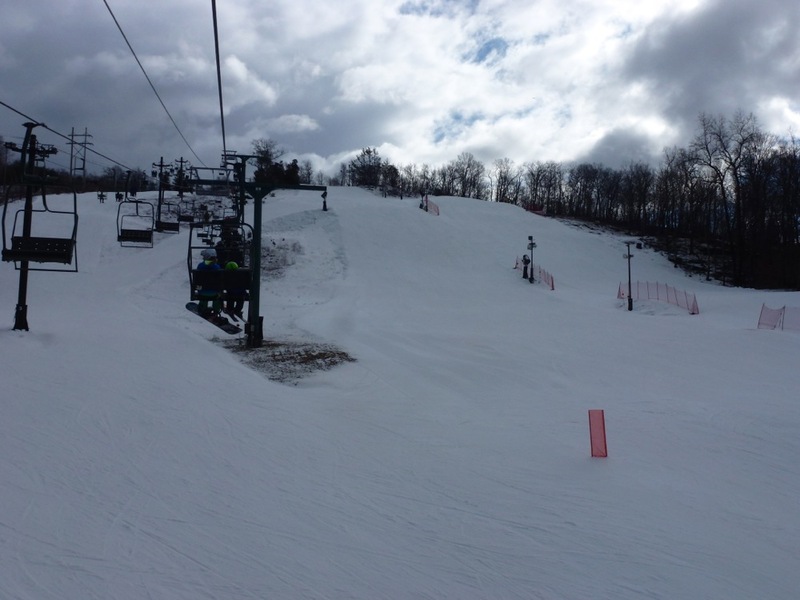 St Pete’s, Cedar Lane are nice, wide, blue trails with lots of room to turn and let the skis run. 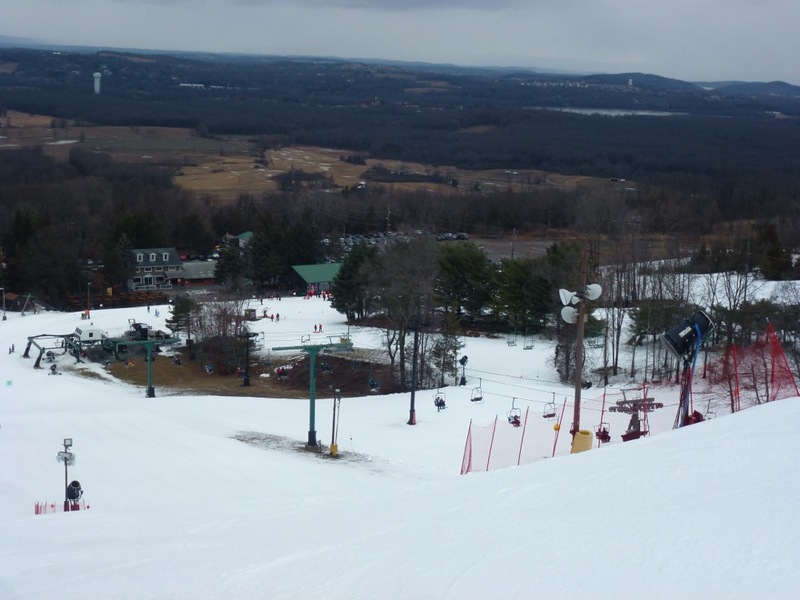 Outback is a tour thru the woods all the way to skier’s right and the Terrain Park is a accessable from Outback. Upper Rim Run, Lower Rim Run and the Snowfields are classic green trails with great width and very low angles. 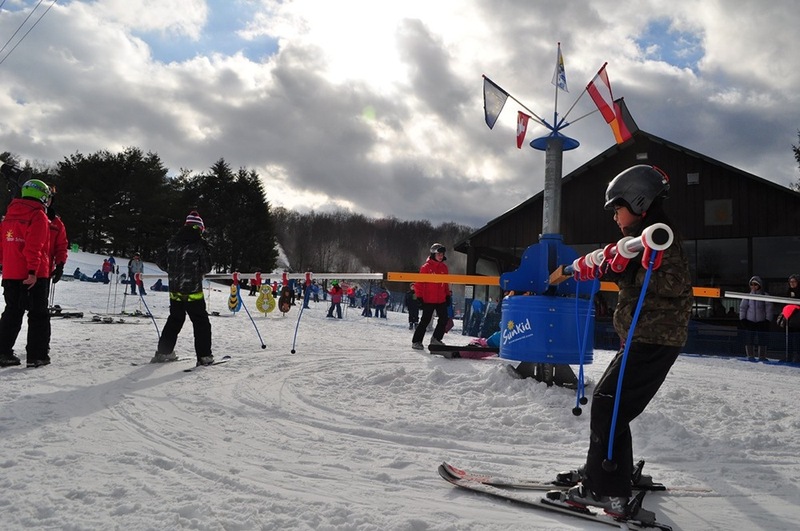 The mountain offers free beginner lessons on weekends and holidays at 10am, 12pm, and 2pm. Just meet at the Sunrise Lodge where the instructors line up. Many were taking advantage of the lessons. Mount Peter does a great job getting newbies started. The chairlift corrals are well organized and the chairs had extra staff to keep things moving. They clearly know how to serve their clientele. We took about 25 fun runs and I got to spend the whole day skiing with my daughter. We were challenged and the conditions were excellent. For a dad doesn’t get any better than that. Love Mt Peter. Great place to take your kids to learn. Author is right they really get it. Nice report. Going to forward it to some family members in Sussex County NJ who want to have their younger kids learn. Thanks for the report! I tried Tuxedo a couple weeks ago and Mt Peter is next!